Agencies across Asia have scored 205 finalists in The One Show 2019, as announced by The One Club for Creativity. Japan leads the region with 53 One Show finalists, followed by India with 34, Hong Kong with 22, China and Thailand with 21, Singapore 11, Philippines and Republic of Korea with eight each, Malaysia with two and Taiwan with one. In Japan, Dentsu Tokyo has the most finalists with 20, including three each for East Japan Railway Company “Get Back, Tohoku.”, Kobe Shimbun “Since 1955” and Toppan Printing “Iron and Torques Graphic Trial 2018 Experiment in Printing Expression”. SHA Inc. Tokyo has eight finalists, getting four each for BioClub Tokyo “The Origin of Life” and Loftwork “YouFab Global Creative Awards 2018”. 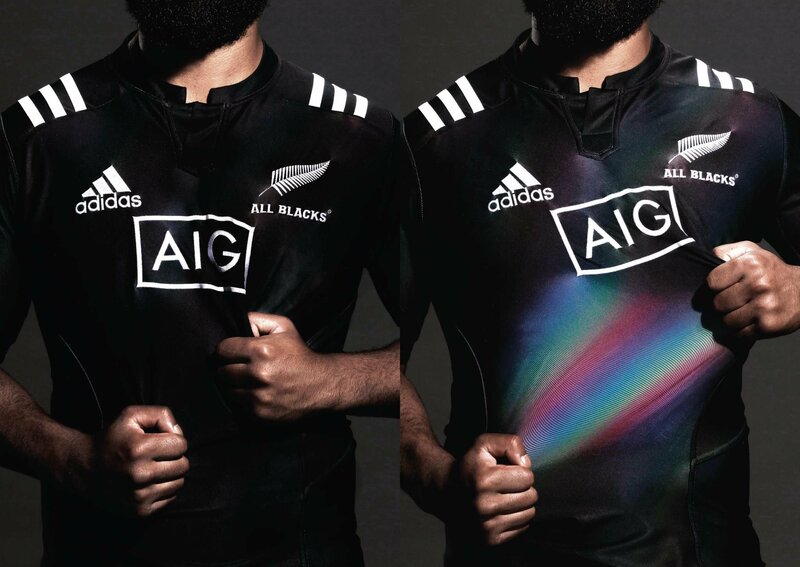 Shiseido Co. Ltd. Tokyo has three for its own “Black and Red” and TBWA\HAKUHODO Inc. Tokyo has three for AIG “Pride Jersey”. Leading the way in India is J. Walter Thompson India Mumbai with eight finalists, all for Jimmy Nelson Foundation “Blink Test” done with its Amsterdam office. Ogilvy Hong Kong has 13 of that country’s finalists, including 12 for Birdland Hong Kong: four for “Hot & Spicy”, three each for “Dragster” and “Shuttle” and two for “Heroes”. Cheil Worldwide Hong Kong with Illusion Bangkok has eight finalists, all for JBL (iTect Ltd.): six for “Block Out the Chaos: Football Managers” and two for Block Out the Chaos: World Leaders”. Ogilvy & Mather Singapore, working with its Amsterdam and London offices and We Film Amsterdam, leads in Singapore with seven finalists, including four for Unilever “Pond’s Bodybuilder”. TBWA (Thailand) Co. Ltd., working with Le Photographe and Visionary, all in Bangkok, has the most One Show finalists in Thailand with 11. All of the work is for McDonald’s: three for “The All Nighters”, two each for “Graffiti”, “Rooftop Soccer” and “The Meeting”, and one each for “Designer” and “Morning Shift”. Innocean Worldwide Seoul has the most finalists in Republic of Korea with six, including four for Hyundai Marine & Fire Insurance “Healing Jungle”. TBWA Santiago Mangada Puno Makati City leads in the Philippines with five One Show finalists, including four for Bahay Tuluyan Foundation “Disgusting Stories”. One Show judges selected 1,558 finalists representing 40 countries this year. To download the complete list of The One Show 2019 finalists by discipline, please visit here. The entry with the most finalists spots is “Broadway The Rainbow” for Mars Wrigley Confectionery by DDB Chicago with 25, followed by Burger King “The Whopper Detour” by FCB New York with 19. Tied for third with 17 finalists each are Nike “Dream Crazy” byWieden+Kennedy Portland and McDonald’s “The Flip” by We Are Unlimited Chicago with The Marketing Store Chicago, DDB New Yorkand DDB Canada Vancouver. The awards ceremonies are part of The One Club for Creativity’s Creative Week, May 6-10, 2019 in New York. The preeminent festival showcasing the intersection of advertising, innovation and creative thinking, Creative Week also includes the ADC 98th Annual Awards ceremony, the dynamic Young Ones Education Festival, inspiring sessions with some of the biggest names in the industry at the Creative Summit and the exclusive Executive Creative Summit, open to a limited number of top-level leaders (founders, CCOs, managing partners). In a reflection of the tremendous creative opportunities now possible in today’s outdoor ad market, The One Club for Creativity announced a partnership this year with OUTFRONT Media, Inc (NYSE: OUT), who serve as exclusive sponsor for The One Show 2019 Outdoor category. OUTFRONT Media is one of the largest out-of-home media companies in North America, connecting brands and consumers in the “real world” on giant creative canvases. Their focus on creative, through in-house creative boutique OUTFRONT Studios, has been recognized across the media industry.